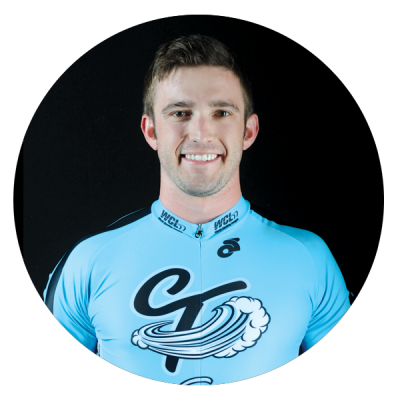 Luke Momper is a young talent from the Midwest who broke into cycling by winning Indiana University’s Little 500 made famous in the film Breaking Away. From that cinder track to the world class velodrome in Indianapolis, he persistently worked his way up to compete at the National level and views the WCL as his next proving ground. Luke is tough, smart, and competitive, making him an excellent teammate for the Connecticut Nor’Easters.